Click on name for bio. 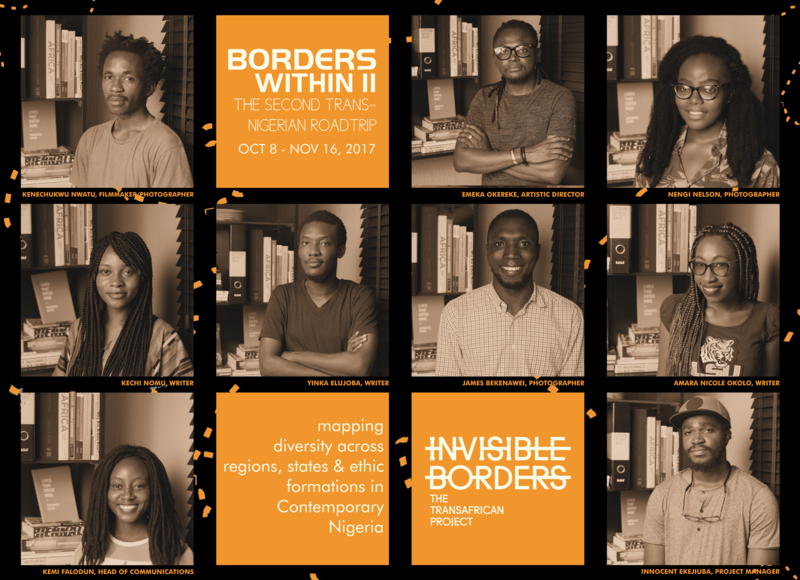 Now traveling clockwise through the regions unexplored in the first edition of the Trans-Nigerian Road Trip, these artists will also, while employing a subjective gaze seek to complete the important work began in Borders Within I. The artists will as with Borders Within I produce images and text that reflect impressionistic, yet critical readings of contemporary Nigeria. The central questions would be: Who am I in relation to the artificial map? How am I product of what I have been inevitably named? How do I interact across the several visible and invisible borders I confront as a Nigerian?